Once Upon a Time...: Happy Father's Day! We went to my dad's today for lunch. 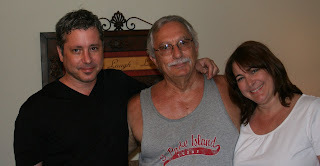 It was one of the few Father's Days that my brother was there, which was nice :) Here's the pic of us!